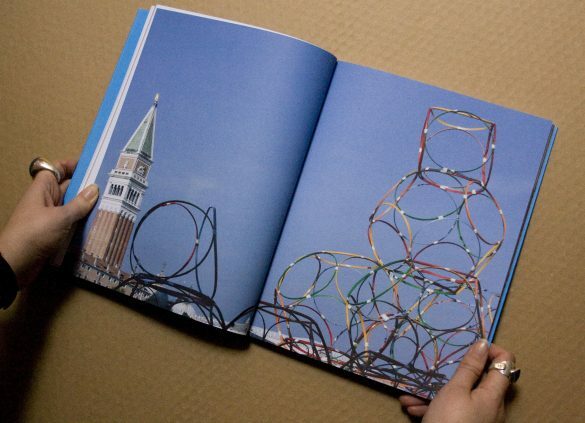 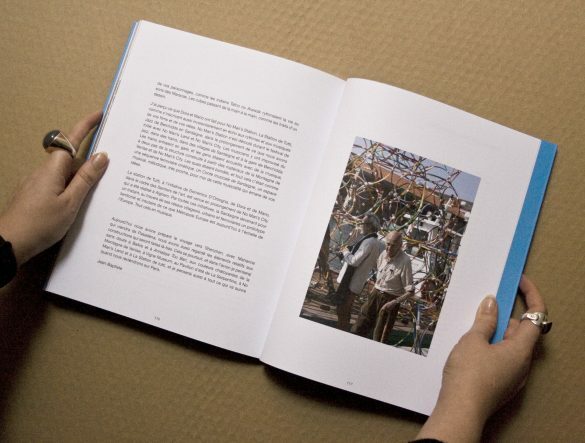 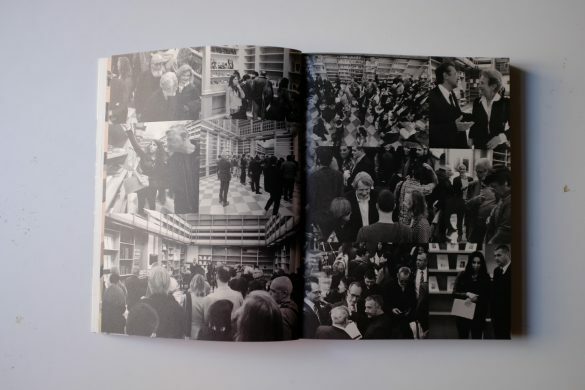 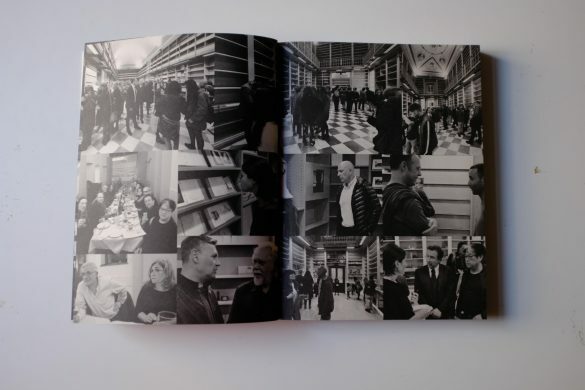 Di Paolo Edizioni – Limited edition of 1000 books. 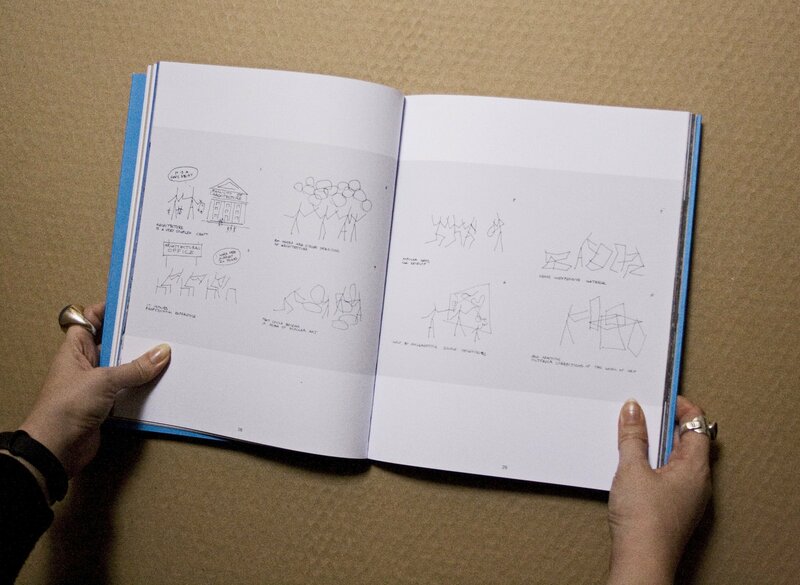 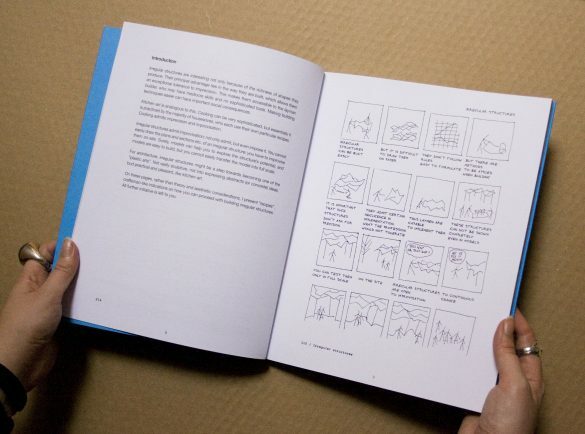 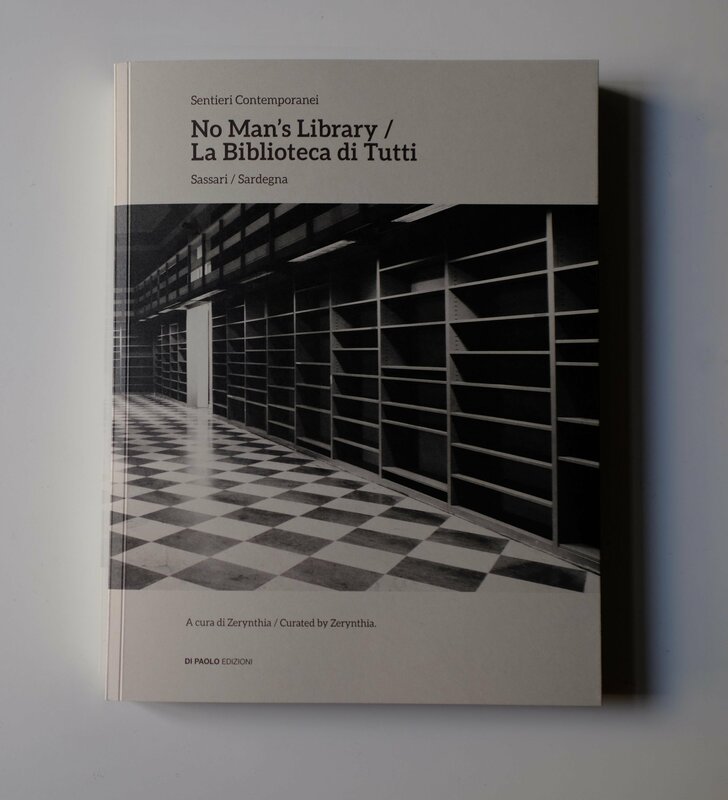 The volume gathers images from several projects conceived by him with Jean-Baptiste Decavèle including “La Montage De Venise” in Venice, “No Man’s City” in Alghero and “No Man’s Land” in Loreto Aprutino along with texts and drawings. 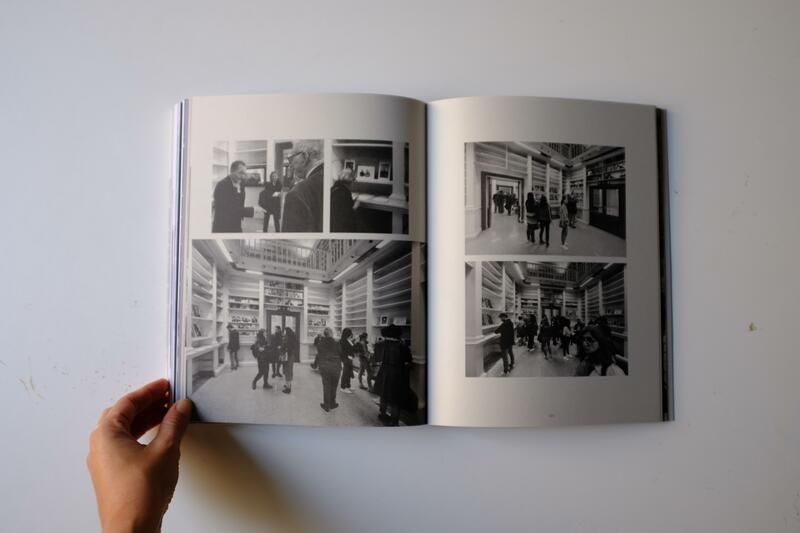 The 121 pages are a flow of photos of the structures and of their realization done with students from different Universities and Academies and moments captured from the flash-mobs improvised by Friedman himself teaching children, students and anyone curious about the basics of people’s architecture. 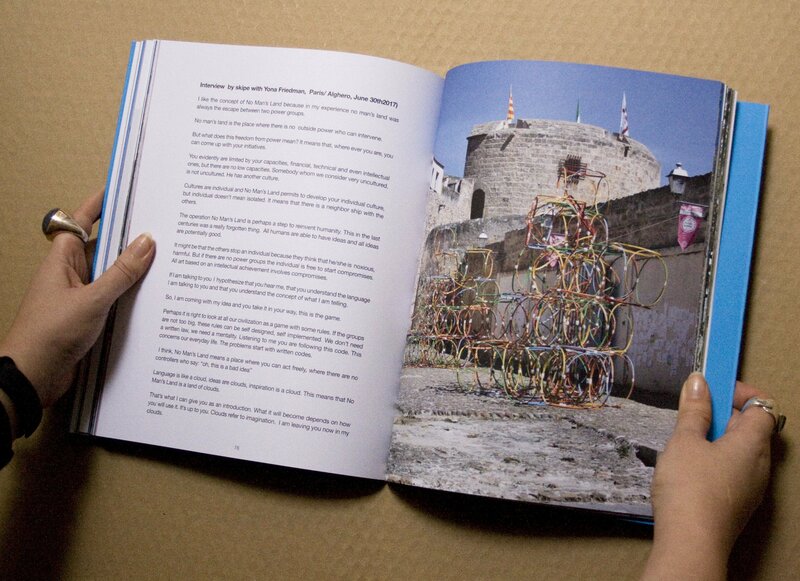 Mobile structures representing the concepts of autonomy, sustainability, adaptability, self-organization, self-planning. 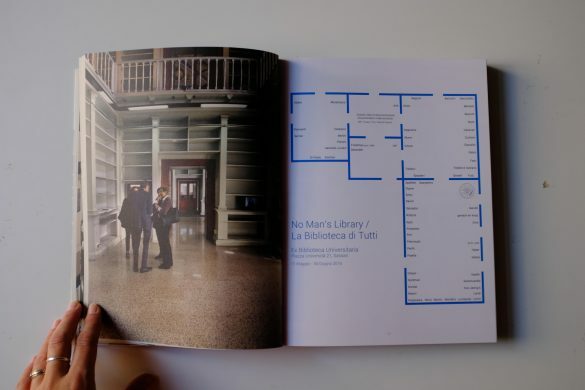 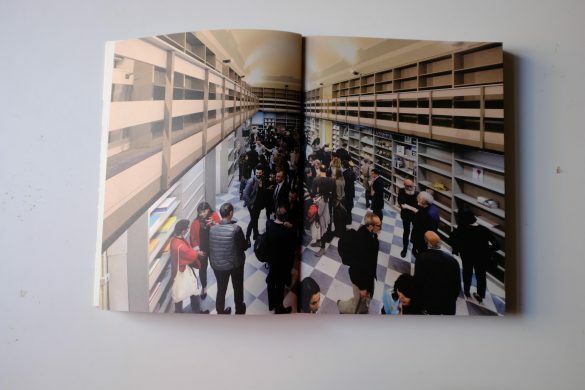 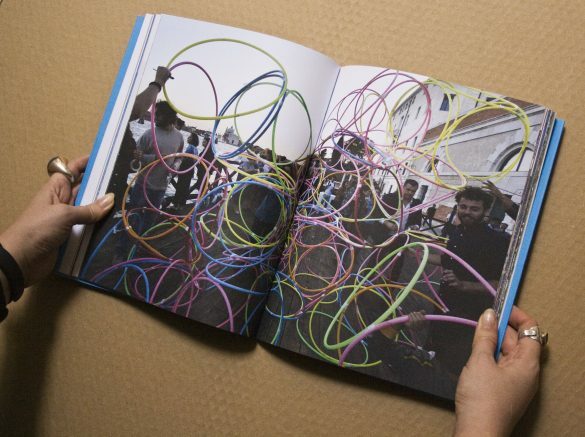 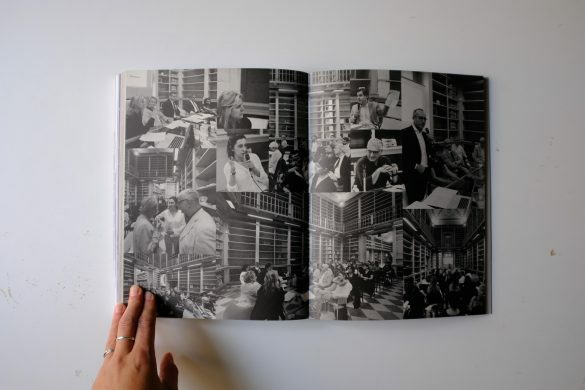 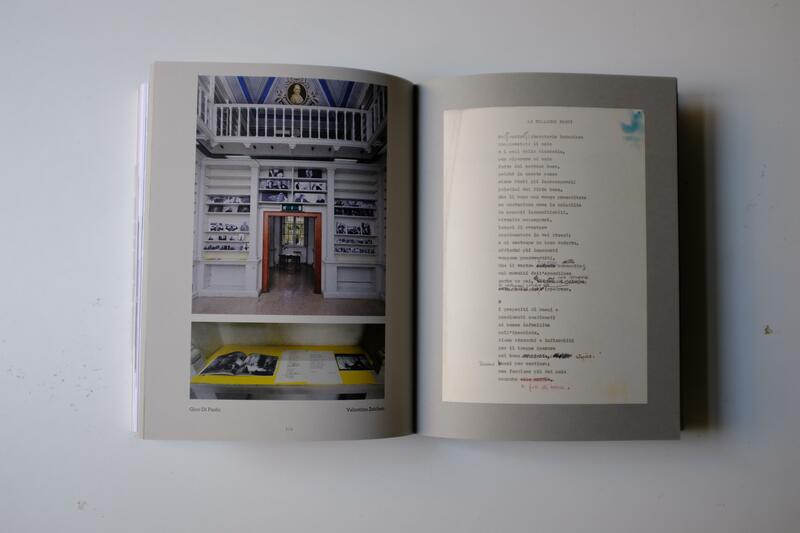 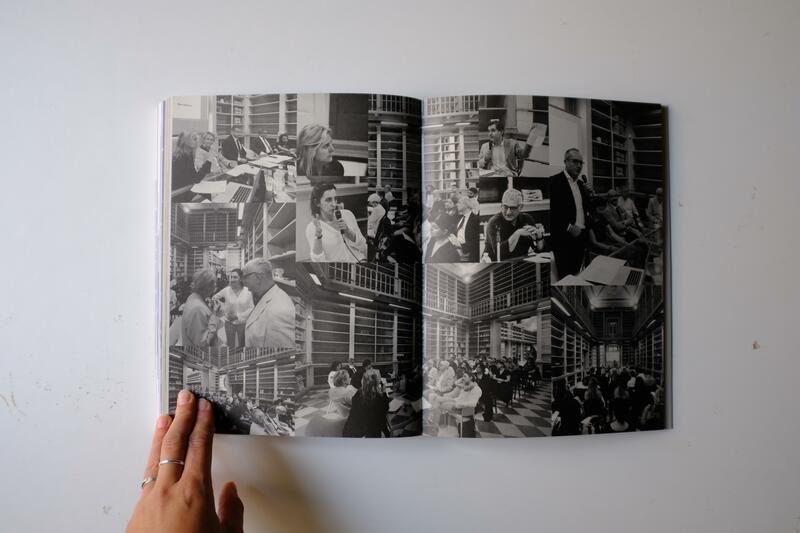 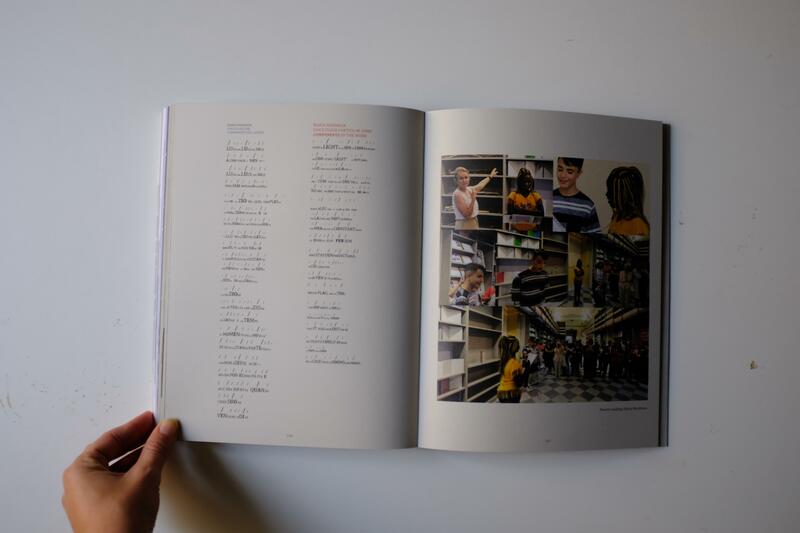 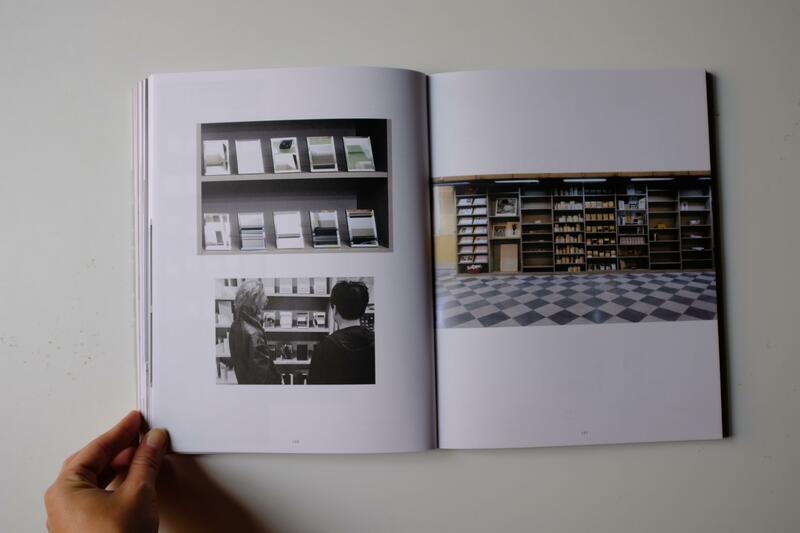 This book shows the results of the exhibition, curated by Zerynthia and patrocinated by No Man’s Land Foundation, in which the spaces of the former Library of the old University of Sassari were filled with contemporary art. Each of the 54 artists called from the international scene (16 nations and 4 generations) was given a set of shelves to create a work around the concepts of archive and Library. 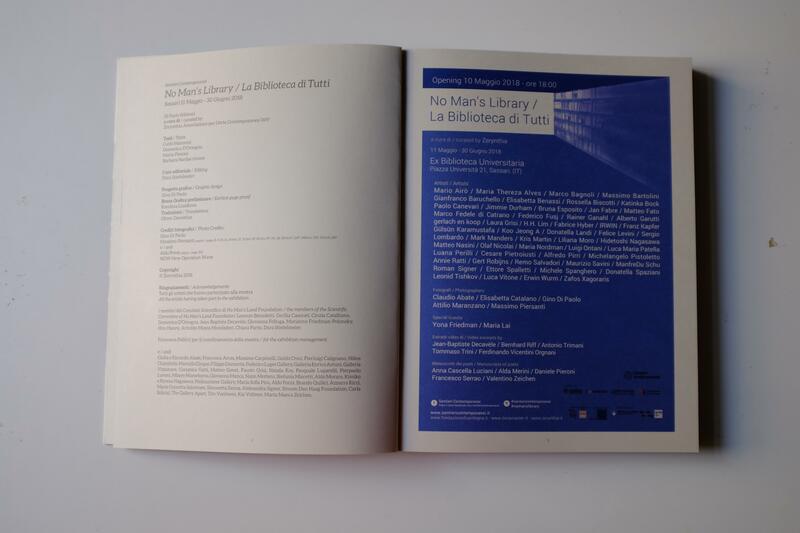 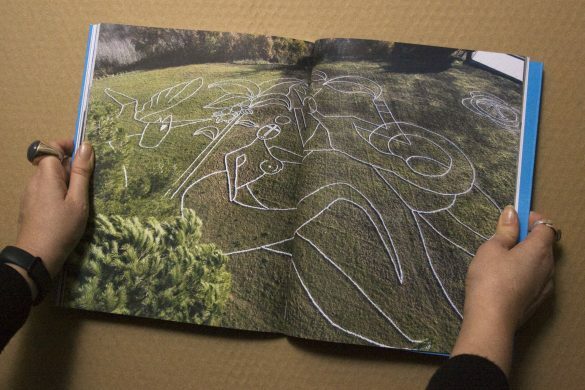 Artists: Mario Airò / Maria Thereza Alves / Marco Bagnoli / Massimo Bartolini / Gianfranco Baruchello / Elisabetta Benassi / Rossella Biscotti / Katinka Bock / Paolo Canevari / Jimmie Durham / Bruna Esposito / Jan Fabre / Matteo Fato / Marco Fedele di Catrano / Federico Fusj / Rainer Ganahl / Alberto Garutti / gerlach en koop / Laura Grisi / H.H. 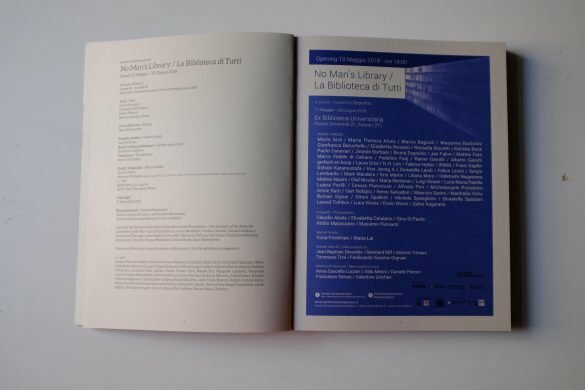 Lim / Fabrice Hyber / IRWIN / Franz Kapfer / Gülsün Karamustafa / Koo Jeong A / Donatella Landi / Felice Levini / Sergio Lombardo / Mark Manders / Kris Martin / Liliana Moro / Hidetoshi Nagasawa / Matteo Nasini / Olaf Nicolai / Maria Nordman / Luigi Ontani / Luca Maria Patella / Luana Perilli / Cesare Pietroiusti / Alfredo Pirri / Michelangelo Pistoletto / Annie Ratti / Gert Robijns / Remo Salvadori / Maurizio Savini / ManfreDu Schu / Roman Signer / Ettore Spalletti / Michele Spanghero / Donatella Spaziani / Leonid Tishkov / Luca Vitone / Erwin Wurm / Zafos Xagoraris. Photographers: Claudio Abate / Elisabetta Catalano / Gino Di Paolo / Attilio Maranzano / Massimo Piersanti. 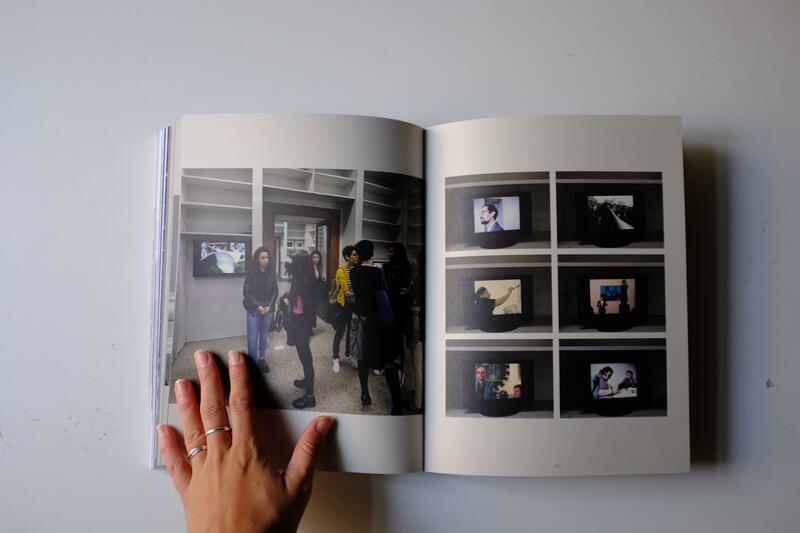 Video excerpts by: Jean-Baptiste Decavèle / Bernhard Riff / Antonio Trimani / Tommaso Trini /Ferdinando Vicentini Orgnani. 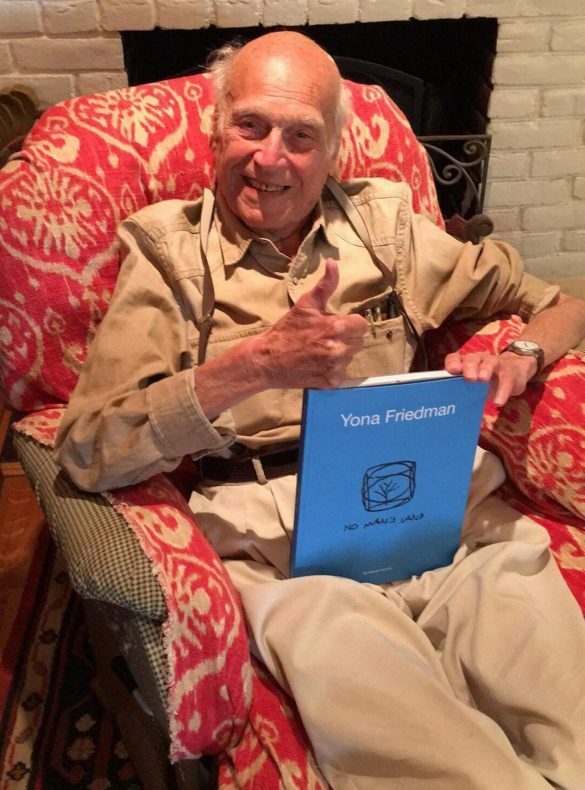 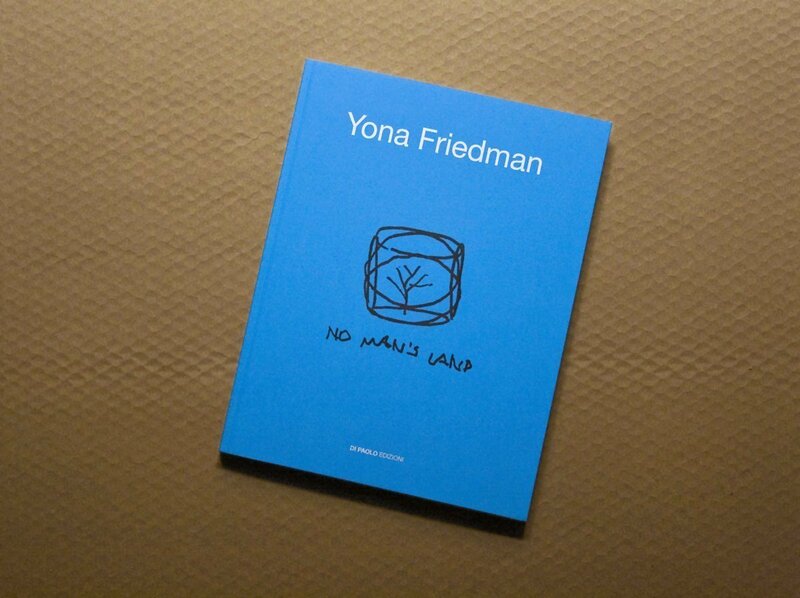 Special Guests: Yona Friedman and Maria Lai. 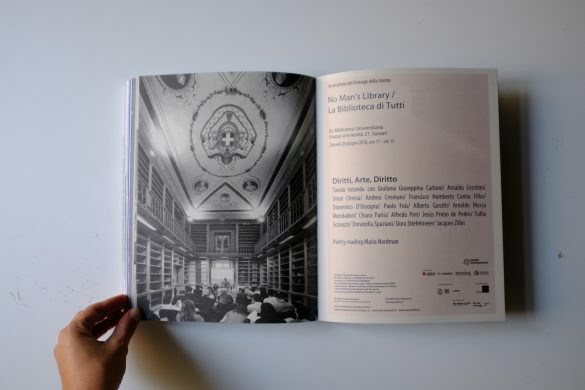 Manuscripts of poets: Anna Cascella Luciani / Alda Merini / Daniele Pieroni /Francesco Serrao / Valentino Zeichen.